Painting by Isaak Ouwater (1748-1793). One of many expert city views, all painted to show the finest that the city had to offer in architecture, public spaces, favorable climate, and an elevated approach to life. 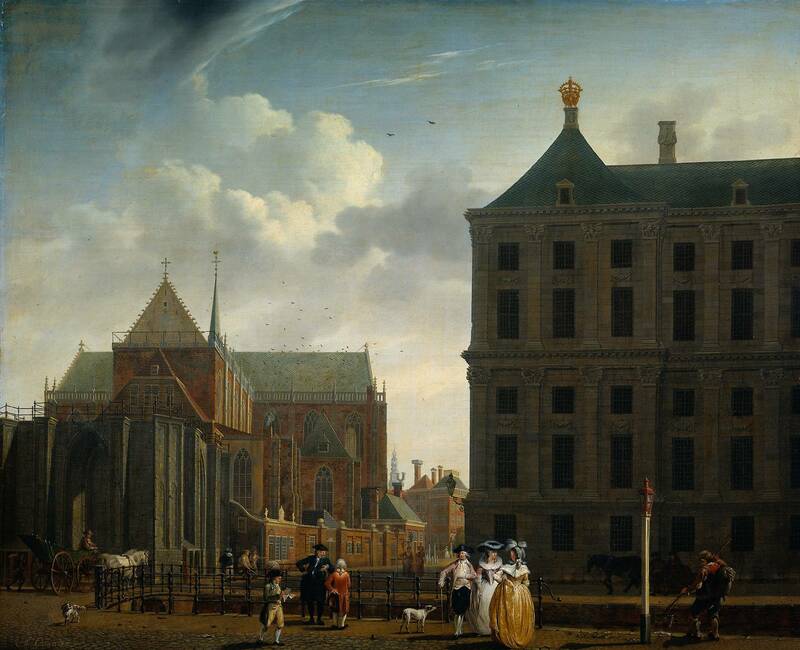 The many views he painted in Amsterdam are just blocks from each other, and would make invaluable contributions to assembling a view of Amsterdam life as it was.